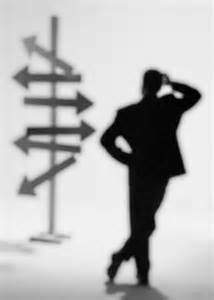 Ever since that initial decision by Adam and Eve in the Garden of Eden, people have been faced with the challenges of decision-making. One obvious fact, which came out of the garden experience, is that people are incapable of making the right decisions. And yet making the right decisions is the essential precursor to right living. So, what’s a person to do? At least 2 things are necessary to make the right decisions. The first thing is a valid set of guidelines. This should form the basis of all decision making. The best set of guidelines is the Holy Bible. Through it God reveals the quality of life He has for us, and the way we are to live. The Holy Bible is God’s standard by which we should conduct our lives. But such profound guidelines require a guide. Thus, a guide is the second prerequisite to right decision-making. Therefore, God graciously sent the Holy Spirit to all who would accept Jesus Christ as Lord and Savior. When we do, we are born of the Spirit (John 3:5-7). The Holy Spirit indwells us in order to lead us and guide us. “He will guide you into all truth” (John 16:13). The Holy Spirit acts as our instructor. We are blessed with a twenty-four hour tutor! “He shall teach you all things” (John 14:26). The Holy Spirit not only instructs us, but He also empowers us to accomplish the task. “But you will receive power when the Holy Spirit comes upon you” (Acts 1:8). Therefore, you are well equipped for making right decisions, and living life! So, how should you proceed when faced with difficult decisions? Because you are a Christian, you want to make the right decisions. 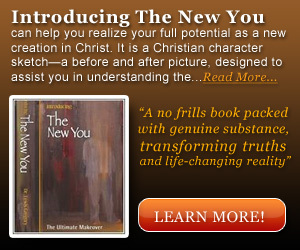 This is indicative of your new nature in Christ. However, even though you sincerely want to do right, you may still find yourself in a quandary. Therefore, several things should be taken into consideration. In order to go God’s way, you must first give up your carnal way of thinking, and cease from all your fleshly efforts. “For to be carnally minded is death” (Romans 8:6). “For he that has entered into His rest, has also ceased from his own works” (Hebrews 4:10). Be sure that you are completely yielded to the Lordship of Christ. “Yield yourselves unto God” (Romans 6:13). Allow the Holy Spirit to so control your life that He can control His purposes through you. “Be filled with the Spirit” (Ephesians 5:18). Gather all the pertinent facts in order to know what is required of you. “Count the cost” (Luke 14:28). Trust the Lord to give you an inner peace about the right decision. “Let the peace of God rule in you” (Colossians 3:15). Ask the Lord to confirm His will by giving you a specific verse of Scripture. “Let the Word of Christ dwell in you richly” (Colossians 3:16). Seek Godly counsel for an additional confirmation. “In a multitude of counselors there is safety” (Proverbs 11:14). Act decisively! Step out in bold faith with the confidence that the Lord will bring it to pass. “He… will perform it” (Philippians 1:6). Wait expectantly. After you have trusted and obeyed the Lord it may be necessary to simply wait patiently upon the Lord to work out the details. “You have need of patience, that after you have done the will of God, you might receive the promise” (Hebrews 10:36). Patience involves giving God time to work in His time, and in His way. In Habakkuk 2:3 we are told that though the vision tarries, wait for it, because it will surely come to pass! God knows exactly what you need, and He will lead you to make the right decisions. He promises to order your steps if you will let Him (Psalm 37:23). I pray that as you seek His guidance, you will hear Him say, “This is the way; walk in it.” And with His guidance, you will make the right decisions! Thank You Lewis for responding to my email I received alot of in put from the scriptures and your insights, as to knowing God’s will and making decessions according to god’s word. And also by being lead by the Holy Spirit and by seeking godly counsel. I’ve been talking to Roger Alford alot about doing things Gog’s way, I have also been talking to some of the elders in church and having them pray for me as well as the whole congregation at Faithfellowship Church at Hanston, Kansas. Excelente reflexão sobre crivar na precisão do Nosso Deus, o que desejamos deve estar sintonizado nos planos do Altíssimo,as nossas expectativas elas têm que caminhar de acordo com à vontade do Pai. Great information! It’s very timely and relevant. It will greatly help in the decision-making process for any current, pending, or future decision that we have to make in life. Thanks for sharing it, Lewis! Appreciate your writing ministry brother, glad to see so many nations visiting the website and being impacted by the simple truths of God’s Word shared.